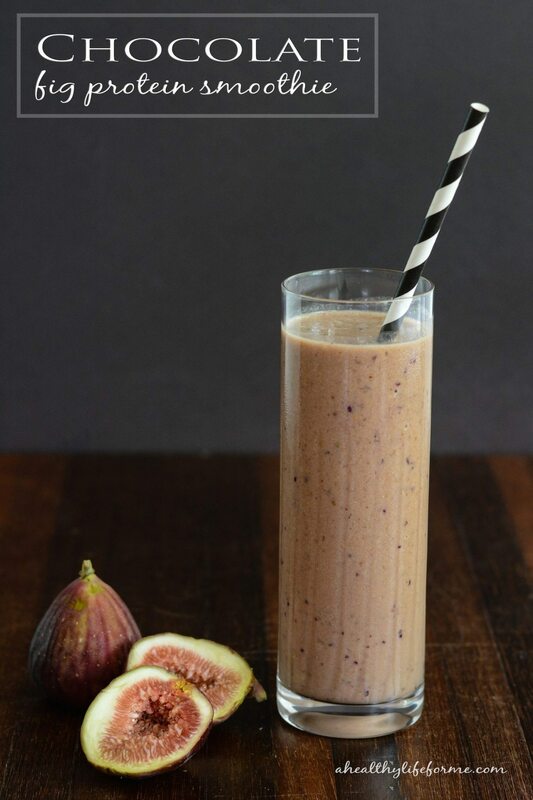 Fresh Figs are back in season and this Chocolate Fig Protein Smoothie is delicious. I love the sweetness of the fig and banana with the chocolate flavor from the protein powder. Adding Almond butter is the perfect healthy fat to balance out the deliciousness and help your body absorb the protein and nutrients. Today is my Birthday and I am sharing one of my favorite smoothie recipe. It is AWESOME and I love that I can enjoy this smoothie anytime because it is sweet, packed with protein, is diary free, gluten free and paleo friendly which means it is good for me. It is great for breakfast or after your workout because it is loaded with potassium which aids in muscle recovery after a workout. I love it after my workout when I need something to appease my hunger, and what is best is the chocolate and fig flavors satisfies that need for something sweet. The reason you want to consume Potassium specifically after a workout is because, potassium is a mineral that works with sodium to balance the fluids and electrolyte levels in your body. And since steady fluid levels help to regulate your heartbeat and prevent muscles from cramping, potassium is of particular importance to anyone who works out hard. 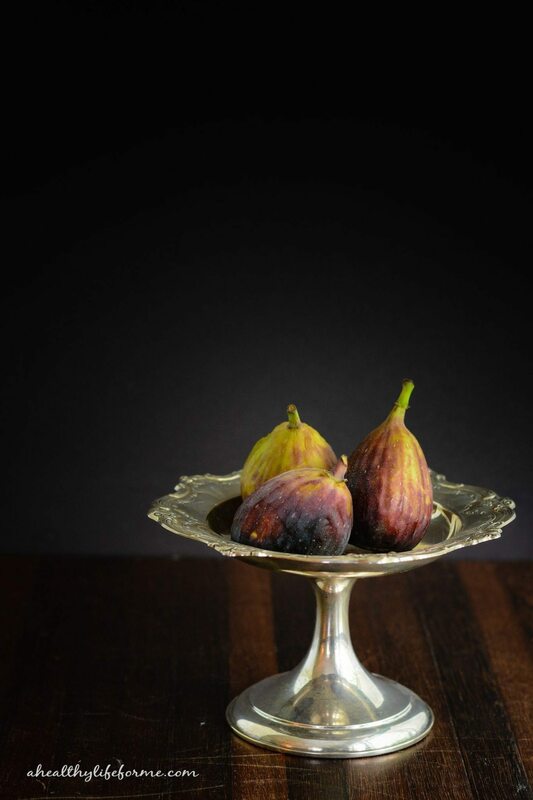 Fresh Figs are one of those fruits that I love to indulge in while they are in season. Loaded with fiber, potassium and antioxidants they are a perfect healthy treat. Since fresh figs are one of the most perishable fruits, you should purchase them only a day or two in advance of when you are planning on eating them. Look for figs that have a rich, deep color and are plump and tender, but not mushy. They should have firm stems and be free of bruises. They can be eaten raw, are great with baked goods and served with soft cheeses and honey. Don’t miss my other Fig Recipes. Fig Preserve ; Jalapeño and Goat Cheese Stuffed Chicken Breasts with Fig Compote , Brie and Fig Preserve Grilled Cheese, Pistachio Mascarpone Fig Tartlette. Happy Birthday Amy!! Your pictures make me want to pick up that glass and drink it! 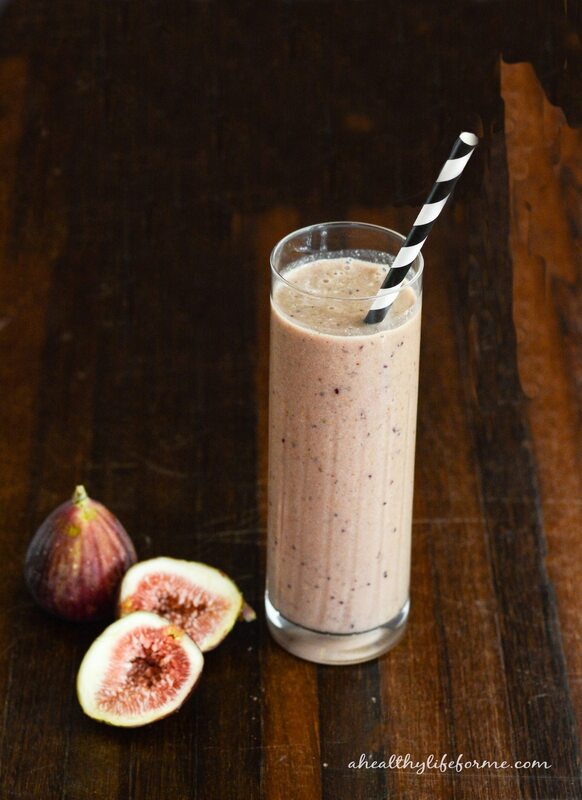 Why have I never thought to put figs in a smoothie? Luckily I have some in the fridge so I can whip this up. Figs are so under appreciated! I think they are wonderfully delicious ! Thanks for linking up at Sparkles of Inspiration Link Up Party! Pinning this for later!